The customer needed on-demand engineers to make urgent repairs to wiring on the Airbus A319-A320-A321 aircraft. When Rockford took over the Worksop facility from Labinal in 2003, some of the Labinal staff members joined Rockford. These staff members had worked on the Airbus A319-A320-A321 project and were still certified to work on Airbus aircraft. 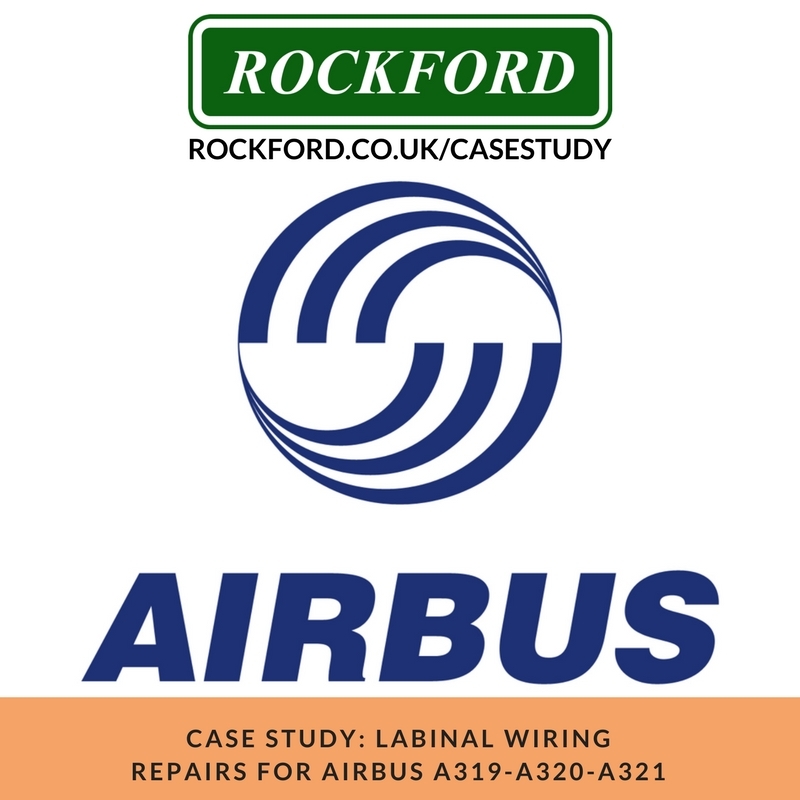 So, these same Rockford staff members worked as Labinal representatives again, doing on-site repairs and modifications of Labinal-produced cable harnesses already fitted to aircraft fuel tanks at the Airbus site in Chester. Rockford suddenly found itself in a position where it was vital to get the company certified to work on Airbus projects as an official subcontractor. Airbus understood the Labinal-Rockford agreement well, and because they knew our staff members were already competent, they helped us to get certified as an official Airbus subcontractor, and eventually to become an accredited supplier directly to Airbus. Labinal remained the first-tier contractor to Airbus, but it was understood that Rockford was subcontracted to do the work. 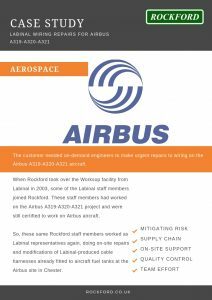 Rockford, Labinal and Airbus worked together to create quality plans, gain certifications and conduct audits. The Airbus requirements exceeded IPC standard, which meant Rockford had to start a training program just for the operators that worked on the Airbus site. We put together a bespoke training package under the administration of Darren Pentney. Airbus sent special process staff to audit us and our training processes directly. As the Worksop facility was only ISO9000 approved, and the Rendlesham site was AS approved, we had to ensure the Airbus staff were trained in the AS environment at Rendlesham. Airbus requirements for tooling and calibration are also very strict, involving calibration and serviceable review every three months. Rockford put all of these requirements into place just for the Labinal/Airbus contract. In an effort to meet Airbus’s exacting standards for certification and auditing as a subcontractor, Rockford became an official Airbus-accredited supplier itself. Rockford demonstrated Airbus qualifications for 07 Electrical in February 2016 and is still accredited to this day, meaning we are capable of repairing electrical equipment on Airbus aircraft. At any time, we could very quickly expand the number of staff qualified to meet the Airbus standards. When Rockford began this project in 2004, we felt as if we were unable to compete with these big aerospace companies. But this history has proved to us that our quality assurance processes, training standards and audit compliance records are first rate, and that we are more than capable of meeting even the toughest aerospace requirements. Also, that sometimes being a smaller company can actually work in our favour, as our staff will always work together to get the job done.